The Safe Lane Coalition needs your help to eliminate severe and fatal crashes in Lane County. The Coalition relies on volunteers to help us with mission to make our roads safer for all users. We have a variety of ways for community members to get involved, by talking with bars and restaurants managers, to leading safety initiatives in your community, there is a volunteer opportunity for everyone. Help support or start a Walking School Bus at your neighborhood school. These chaperoned walks to school give students without bus service a safe and fun way to walk to school with their friends. Volunteers walk a route weekly (or daily) stopping at designated stops at specific times collecting students on the way to school. After the first eight or nine days of Bike Safety Education class, students go on a community ride where they get to integrate all of the skills they learned. Volunteers help support the instructors and classroom teachers by biking the route and monitoring conflict zones (i.e. intersections) throughout the ride. 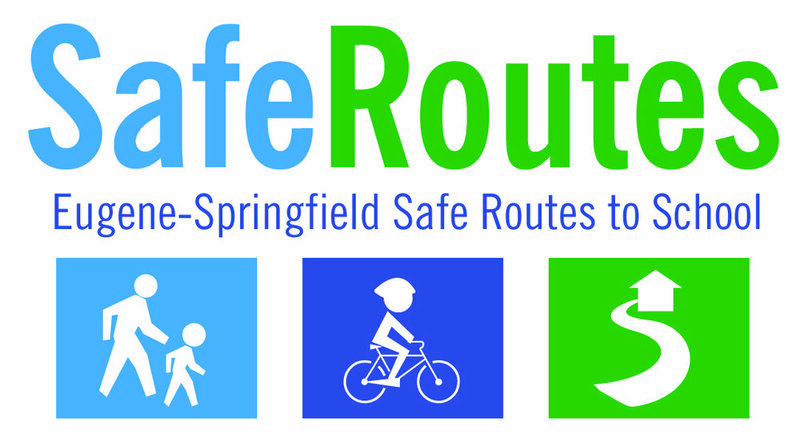 Throughout the year, the Safe Routes staff organize dozens of events where students learn safety skills, enjoy activities, and build community. This includes Bike Rodeo’s, Blender Bike events, Walk and Roll Challenge Months, and much more! Volunteers help with facilitating activities and creating a fun and welcoming atmosphere. Thank you for interest! We will reach out shortly.